I’ll admit it. I am guilty of downplaying the permanence and seriousness of mental illness. Doesn’t “illness” conjure the image of a period of sickness followed by wellness or a cure? For people living with mental illness, there is no magic solution to remove it, cure it, or make it disappear. Yet we often tell people who suffer to snap out of it; it’s just a phase, you’ll get over it. Or the one I’m guilty of: “Focus on the good things in your life, and just do something, anything, other than just lie there. I know you’ll feel better.” Like the old “Take two aspirin and call me in the morning” tactic. Shame on me. 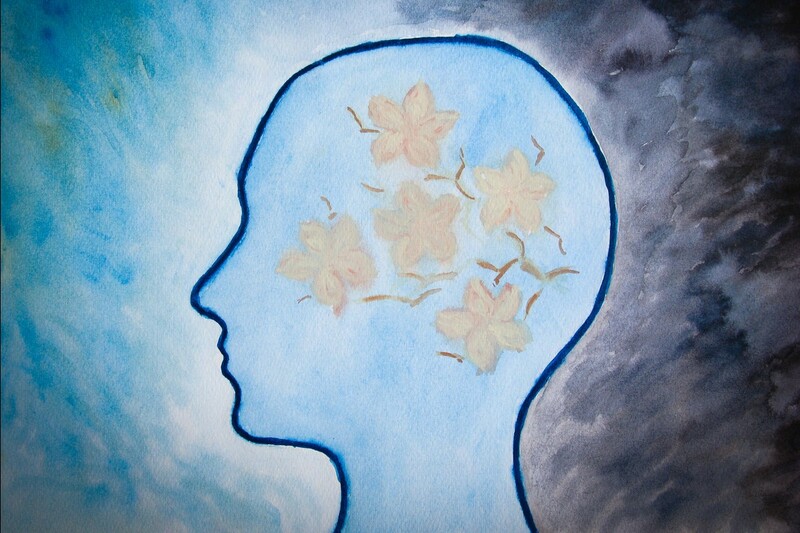 Mental illnesses are very common; in fact, they are more common than cancer, diabetes, or heart disease. According to the National Alliance on Mental Illness, approximately 43.8 million adults in the United States, or 18.5%, experience mental illness in a given year (about one in five individuals). Even though mental disorders are widespread in the population, the main burden of illness is concentrated in the approximately one in 25 Americans who suffer from a serious mental illness (one that significantly interferes with a person’s day-to-day functioning). Suicide is the 10th leading cause of death in the United States (more common than homicide) and the third leading cause of death for people aged 15 to 24. More than 90% of those who die by suicide had one or more mental disorders, and yet approximately 60% of adults and almost one-half of youth ages eight to 15 with a mental illness haven’t received any mental-health services in the past year. Those statistics are staggering, disheartening. Yet they are just numbers. When you love someone who has ended his life, those statistics grow flesh. But because we focus on how the person’s life ended, it becomes that person’s whole story. We spend countless hours trying to figure out what she was thinking when she did it. We try and wrap our minds around the ending rather than realizing that, ultimately, it was the disease that won. We might not have even known the person was suffering, undiagnosed and unsupported. We call him selfish or impulsive or cowardly. Or we survivors suffer in silence. This grief is complicated. Unlike other deaths in which loved ones and friends share stories of the lost one, no one talks about the death-by-suicide person. Very few subjects make people as uncomfortable as suicide. Shame on us. The very definition of the word stigma points to disapproval or dishonor. Synonyms for stigma include taint, blot, black mark, stain, blemish, disgrace. So why do we feel this very real stigma around the subjects of mental illness and suicide? My husband died at his own hands. I was going to say he killed himself, except it wasn’t really him. Saying he killed himself gives the impression that it was a choice he made when actually his death was the end result of his illness—mental illness. But isn’t that the way most of us feel? That somehow there was a rational pros and cons list that resulted in the choice to end his life? So we ponder in solitary silence. And we don’t talk about it. Why? Is it because of fear? Because all of us, if we’re being completely honest, have thought in deep despair that it might be better if we weren’t here. Admit it. We’ve all had the thought, if only for a second, that death might be better than the pain we were feeling in that moment. Let’s stop pretending we have it all together all the time. We don’t. Suicide hits close to home. It’s relatable. And that scares us. Is it our guilt? Should we have known and been able to stop her? Could we have helped him make another, different choice? Did we miss something? Are we so self-absorbed that someone we love suffered right in front of our faces, but we couldn’t see past ourselves? We failed to take control of the (uncontrollable) situation when we should have and missed the signs, so we feel horribly guilty. We can sympathize with those who have lost their battle with cancer or a physical disease, but we have a difficult time comprehending the circumstances surrounding those who die from mental illness. Suicide isn’t, in our minds, the heroic end of a battle as it is with a physical disease such as cancer, where a person tries every treatment but ultimately can’t keep the disease at bay. For many people with mental illness, they have fought—also for years and through countless treatments. But it’s different somehow. “Having a mental illness isn’t supposed to be terminal!” our rational minds cry. The statistics tell a different story. The stigma of mental illness and suicide will continue, blurred, as our limited brains try to fathom this “choice.” But it wasn’t a choice, and we can’t understand—so we stay silent. But there is one thing it makes me wonder: maybe we should call it something different. . . .